Man is as Man does. Man cut down tree. 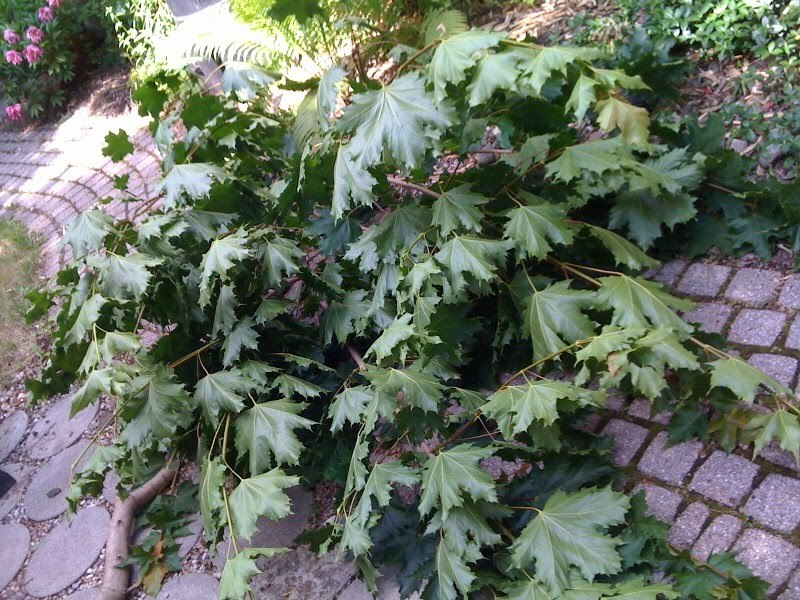 Good-bye pesky Manitoba Maple. I'm sure Gordon Lightfoot has already written you a soliloquy. Is it just me, or is referring to a tree as a weed seem like kind of a "Mainlander" thing? To be honest, I thought this necessary tree removal would be my opportunity to buy an axe or even a hatchet, but I'd brought the thing down with a few saw cuts and a couple of tugs. Maybe I don't need a "reason" to buy an axe – I should just have one, because I am Man!